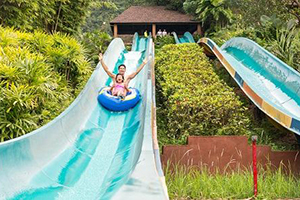 Located in Ipoh city, just two hours away from Kuala Lumpur, the Lost World of Tambun is not just a theme park - it's a destination! 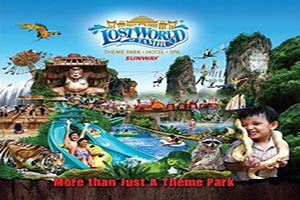 Lost World of Tambun Entrance Ticket Inclusive of: Access to Water Park, Amusement Park, Tiger Valley, Tin Valley, Petting Zoo and Hot Springs & Spa. WHATS AT THE WATER PARK? Within the dense heat of our ancient rainforest lies our wonderful water park where you can cool off with endless wet and wild fun! There are thrills and spills for one and all, young and old. WHATS AT THE AMUSEMENT PARK? If you prefer to be on dry land, head off to our amusement park! But remember, you may be dry but you may not always be on land. Come soar and fly. 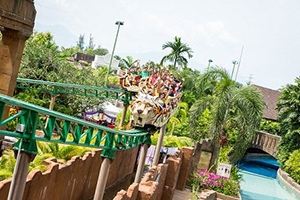 Get that speedy rush on our thrilling rides. Theres fun to be had by one and all! WHATS AT THE LOST WORLD PETTING ZOO? 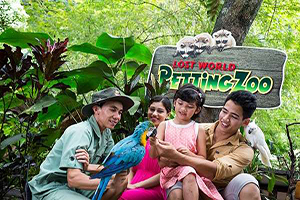 Discover the wonders of Lost World Petting Zoo, our haven of 4,000 animals from 55 species. Its truly an adventure and an immersive educational experience. 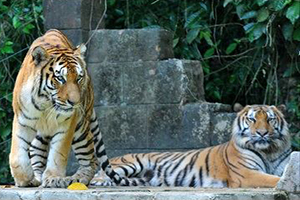 WHATS AT THE LOST WORLD TIGER VALLEY? WHATS AT THE TIN VALLEY? Tin mining is one of the oldest industries in Malaya and Ipoh The City that Tin Built, became the meeting point of all the commercial centers of the Kinta Valley. 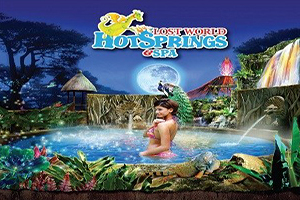 WHATS AT THE HOT SPRINGS & SPA?